owls about that then! : Old friends new ones and potentials! After a good week or so of below freezing temperatures the big thaw is now into full flow here in Leicestershire, yes it was more pleasurable to be out but the inevitable cloud cover made for a real grey and dull day, not good for photography? So rather than concentrate on owl watching and trying to obtain images this morning I opted for a bit of "patch work" and check out some of my Barn Owl boxes that I erected last year. As I pulled up at the first Barn Owl site of the day I heard a Little Owl call, a quick scan of the distant trees from where the sound came from didn't produce any sighting, maybe I was too far away? As I was already at the entrance to where the Barn Owl box was located I carried on with checking that out, it was good news, pellets everywhere! Whilst there I also bumped into one of the farm workers and he confirmed that the Barn Owls are being seen in the evenings on a regular basis, fantastic news and looking very promising for the spring. Right it was now time to find that Little Owl, this is my site No 27 and I haven't made a sighting here for nearly 2 years! I'd always had my suspicions that the nest tree was a battered old Ash Tree, so that's where my search started. The tree is riddled with holes that are all potential nest cavities, and sure enough an owl was located sitting at the entrance to one of them, can you see her? Once I had nailed a couple of distant images I manoeuvred the car to a more advantageous position to attempt a better image. As I approached a second owl was spotted perched a lot lower down, it was very tolerant of my presence, again the camo netting up at the window proved sufficient enough to make me invisible. Not the best Little Owl image I have ever managed but considering the dull conditions it is OK, but what makes it that extra bit special to me is it is my first usable from this site. At the next Barn Owl site I checked out it was good news again, although I have NEVER seen a Barn Owl here! On my last visit in December there was a couple of pellets inside the barn which lead me to believe that it maybe being used as an occasional roosting site. But today I found 109 pellets on the floor!!!!!!! Judging by the number this MUST now be a potential breeding site, and only a mile from my home! 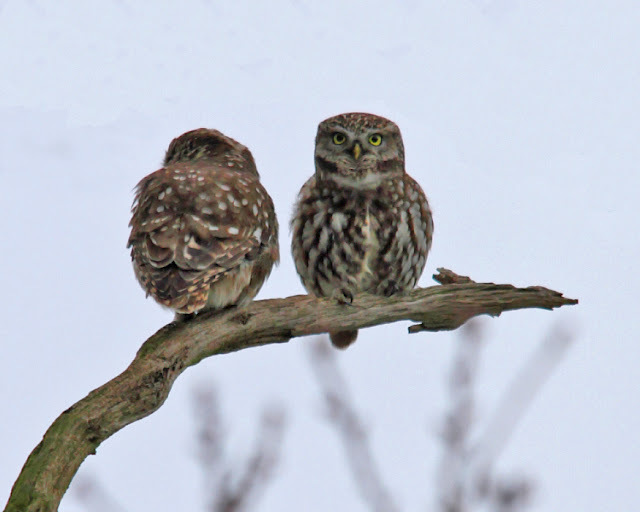 On the way back I stopped off at another potential site, only this time is was Little Owls. My mate Daz said he saw an owl here a couple of weeks ago so I thought what the hell lets pull over and see whats about? 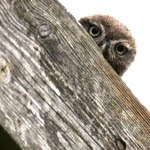 I hadn't even had time to put the camo netting up at the window when I made a positive ID, yes you have guessed it Little Owl..........and two of them!!! Again the light was utter rubbish for a decent image but who cares it another new territory......get in there site No 203!! I'm sure it won't be long before I can get some "quality" images from this new site, it's only about half a mile from where I live!!! I would be excited just to see them. How exciting! 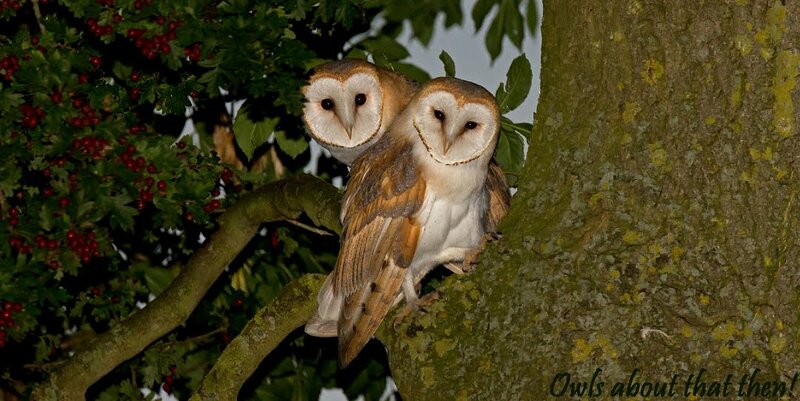 Great news on the Barn Owls Paul - just reward for your conservation efforts. Nice to see you back with the Little'uns Paul. Good work there! A beautiful set of images there, i found you blog throught the nature blog network. I hope you get the time to follow my blog. You have some stunning photos of these majestic birds.